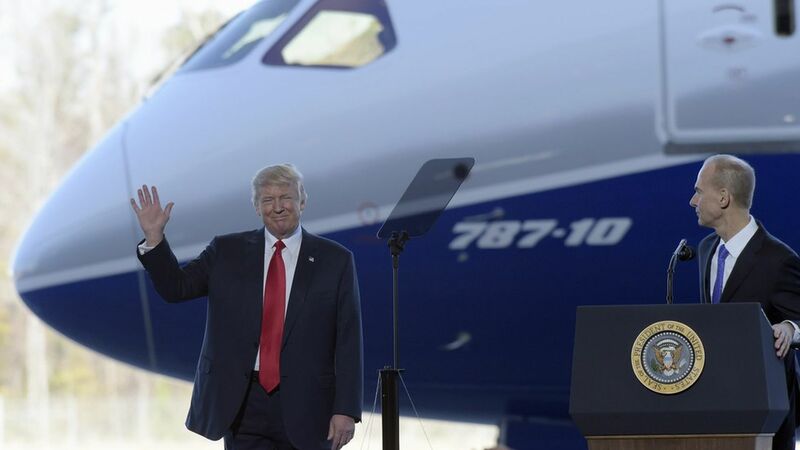 Trump on the road: "That is one, beautiful airplane"
"We want products made in America, by American hands... Our goal as a nation must be to rely less on imports but on products made here in the USA." We will stop other countries from their "tremendous cheating," and cut regulations and taxes so that the U.S. is on a level playing field. There will be a "very substantial price to pay" for companies who fire their employees and move their facilities overseas. "We are going to fully rebuild the military... we are looking seriously at a big order. We're also working on the Air Force One project, which was tough for previous administrations, but we're getting closer and closer."